Home Beauty	Do I Really Need a Primer? NARS Makeup Primer. 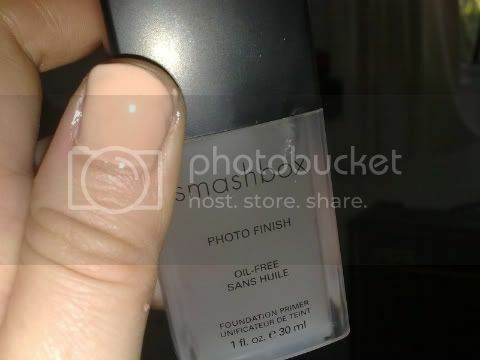 Smashbox Photo Finish Foundation Primer. Clarins Instant Smooth Perfecting Touch. I’ve wondered for a long time as to weather I really need to use a makeup primer. I was introduced to makeup primer awhile back, it was described to me as smoothing and preparing the skin for foundation application, allowing it to be applied evenly & last longer. I decided to give primer a test run to see if it really was the miracle it is described as. I selected Smashbox Photo Finish Foundation Primer, via @temptalia‘s recommendation. The gel was fun to apply, and made my skin feel amazingly soft. It did smell and feel a little odd, but I couldn’t stop touching my skin after application. The primer did completely smoothed my skin, and the difference was noticeable! That’s not to say it prevented me from needing to still use a foundation. You do need to give it time to set, in order to give the foundation something to ‘grab onto,’ but once it’s set foundation goes on easier and smoother. This also meant using less foundation overall, with the resulting effect even and ‘light’ looking. Foundation also seems to last a little longer, not smearing off as easily, which is a bonus! Primer is pretty neat stuff. It is beneficial for your skin, and and makes your skin feel wonderful too. I think it is worth the extra step though, if you have it on hand! It is pricey, and definitely more of a luxury than a necessity. Let me ask you, do you (or have you ever) used a makeup primer? Did you like it? I probably will continue to buy and use primer – as long as I have the money to splurge on it!